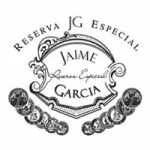 A father’s tribute to his son, Jaime Garcia Reserva Especial cigars are made with same love father Don Pepin Garcia wanted to show to his son Jaime Garcia. The dark, silky broadleaf maduro wrapper is used to expertly seal a spicy blend of Nicaraguan long fillers with some of the finest tobacco from the Garcia family’s farms. Boasting a “90” rating, it utilizes the tobacco beautifully to bring out the oak, cedar, and spicy taste. While hosting an event in New York City in 2009, the huge success the cigar caught led Don Pepin to producing this once limited blend into full production. Named after his son, this smoke is a father’s love rolled into a cigar. Coming in a gorgeous array of shaded wraps and convenient sizes, some top champagne would really make a great add-on to a father’s celebration.